President Barack Obama has a well-documented fitness regimen, but First Lady Michelle Obama is also an avid exerciser, with her toned arms making many a headline lately. 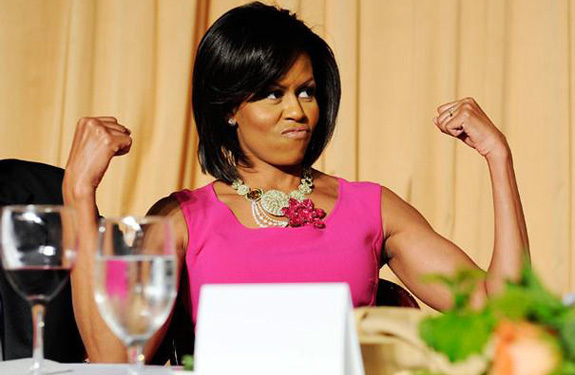 Get Michelle Obama’s arms with these 6 arm exercises, recommended by fitness guru Kathy Smith, to tone your biceps, triceps, shoulders, and upper back. 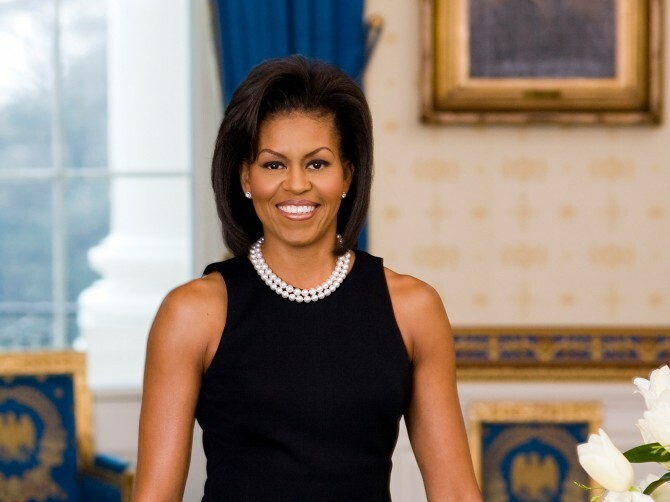 Michelle Obama has demonstrated success as a career woman, wife, and mother, but when people look at photos of the first lady, they can’t help but notice one thing: her sleek, lean, muscular arms. In fact, Mrs. Obama seems to be as proud of her arms as we are envious of them, showcasing them in lovely sleeveless dresses at Congress and White House functions as well as on the covers of magazines. But those tank top-ready limbs aren’t coincidental. Obama has claimed to be a regular exerciser for years, and even now squeezes in early-morning workouts in the White House with her husband before dropping the kids off at school and going on to a busy day of meetings and events. So, what makes those arms so spectacular? Defined shoulders, strong biceps, and a lack of triceps flab (you know, the so-called “batwing” skin that wiggles when you wave). Try this routine with six Smith-recommended moves. Just doing these exercises three times a week (it only takes 15 minutes!) for two weeks will result in noticeably stronger arms, shoulders, and upper back. All you need are 3- or 5-pound dumbbells (two of the moves only use your body weight as resistance, which is actually even more challenging on your muscles than using dumbbells). The weight amounts and reps given here are for beginners. If you’re strong already, you can do the same routine using 8- to 10-pound weights and do the entire sequence three times rather than twice. Do this entire sequence twice through without pausing between exercises.